Ryan F. McCarty - Harrison White, P.C. Ryan F. McCarty graduated from The Citadel in Charleston. While there, he was a member of the training Cadre and played rugby all four years. McCarty was recognized on the Dean’s List, Commandant’s List and President’s List for both academic and military achievement. Following his graduation from The Citadel, Ryan attended law school at the University of Dayton and graduated in 2005. 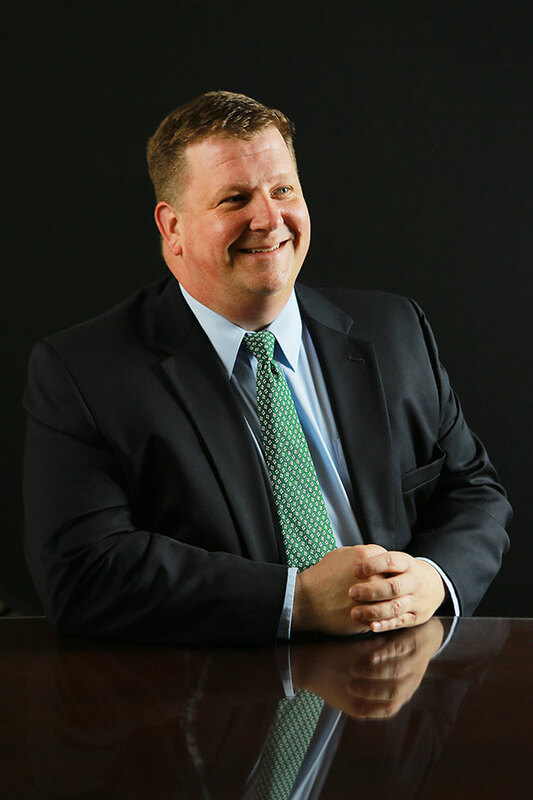 After his graduation, McCarty and his wife moved to the Greer area, where he began working as an Assistant Solicitor under then Solicitor Trey Gowdy in the Seventh Circuit Solicitor’s Office. During his six years tenure as an Assistant Solicitor, Ryan handled hundreds of cases, including DUI; forgery; burglary; larceny; financial transaction card fraud and theft; drug trafficking, distribution and possession; assault; and battery and murder. During McCarty’s last year at the Solicitor’s Office, he was promoted to the level of Supervisor and handled the prosecution of drug-related offenses in Spartanburg County. McCarty worked at another firm in Spartanburg for several years before joining Harrison White, maintaining a wide variety of cases in his practice. He regularly represents clients in civil and criminal court, along with representing clients in the Probate Court and Family Court. In his free time, McCarty and his wife remain busy raising their three children. McCarty is active in his children’s activities as a coach, den leader, and volunteer. McCarty and his wife are members of Grace Church in Greenville where they both serve in the children’s ministry as Sunday school teachers. I decided to pursue a career as an attorney at the encouragement of friends, family, and professors that I had in school. I have always enjoyed politics and the study of government, and I have always been impressed with the number of leaders at all levels of government that are attorneys. I had the privilege of interning in a U.S. Congressman’s office during my junior year of college, and that Congressman was also an attorney (and a former FBI Agent, which I thought was pretty cool.) I began to recognize that a lot of the men whom I admired and wanted to emulate were also attorneys. After having practiced law for more than 10 years now, I can say that my favorite part about my job and the law, in general, is the opportunity to represent clients in their legal needs. Every person’s story and experience is unique, and as an attorney, I get the privilege to be a small part of that story and experience. I truly believe that it is a privilege to represent someone as their attorney. I have never lost sight of the fact that I am helping others and they are looking to me for advice and counsel. That is a tremendous responsibility, and one I do not take lightly. The highest praise that I receive is when a new client tells me that a former client referred me to them. What I feel like sets our firm apart from others is the wealth of knowledge and experience that we have here in so many different areas of the law. We have attorneys with decades of experience under their belts and unsurpassed reputations for producing results for our clients that exceed expectations. I also believe that we set ourselves apart from other firms because of who we are and where we come from. We connect and identify with people from all walks of life because of our own life experiences. We have attorneys that grew up the restaurant business, had a career in law enforcement, worked in factories and so many other different experiences. Before becoming an attorney, I have worked jobs where I have been on an assembly line in an automotive parts supplier plant and worked third shift doing inventory control. All of our attorneys bring their own unique story and background, and I believe that allows all of us to easily identify with our clients and their experiences.